When Erin Brockovich sued a major utility company in the 1990s for contaminating drinking water with hexavalent chromium, a toxic and carcinogenic metal, national attention turned to California. Now researchers have determined that natural sources of the element may be geographically more important when it comes to the state's groundwater management. In a study that appeared online June 27 in Environmental Science & Technology, Stanford scientists used a statewide groundwater database and a new means of tracing sources to identify wells containing hexavalent chromium from industry versus those that became contaminated from naturally occurring sources – some of which may also have resulted from human activity. The research found that naturally occurring chromium affects a larger area, more wells and a larger population throughout California than industrial sources, offering a new perspective on how California's groundwater resources should be managed. "While the highest concentrations of chromium in any single well are clearly from industrial leaks, the greatest number of wells and the largest geographic distribution are all from this naturally occurring chromium," said co-author Scott Fendorf, the Huffington Family Professor in Earth system science at the School of Earth, Energy & Environmental Sciences (Stanford Earth). "As we continue to push the need to use and manage groundwater, understanding how these naturally occurring contaminants can jeopardize water becomes really, really important." The benign, natural form of the chemical, known as trivalent chromium, is needed to help people break down glucose. It does not move easily in the environment and sticks to minerals in soils and sediments – it's what gives serpentinite rocks in the Coast Range Mountains in California their iconic green hue. The toxic form, hexavalent chromium, is very soluble and moves easily within the environment. Industrial uses of hexavalent chromium include electroplating, steel manufacturing, leather tanning and wood treatment. Drinking water that contains hexavalent chromium, also known as chromium-6 or Cr(VI), is considered a human health threat, increasing the risk for stomach and intestinal cancer. Scientists have been trying to understand what triggers the natural form of chromium bound to rocks to transform into a toxin that can run into groundwater. Based on where they find the toxic form in the Central Valley and other regions, the study co-authors suspect human activities, such as groundwater pumping, could contribute to that transformation. "We have to start considering the pathways by which we might inadvertently create the bad form of chromium from the good and end up contaminating our aquifers," said Fendorf, who is also a senior fellow at the Stanford Woods Institute for the Environment. "The best thing we can do is identify the processes that accelerate natural oxidation, and then try to develop management practices that will minimize them – if they do occur, it becomes very expensive to deal with." 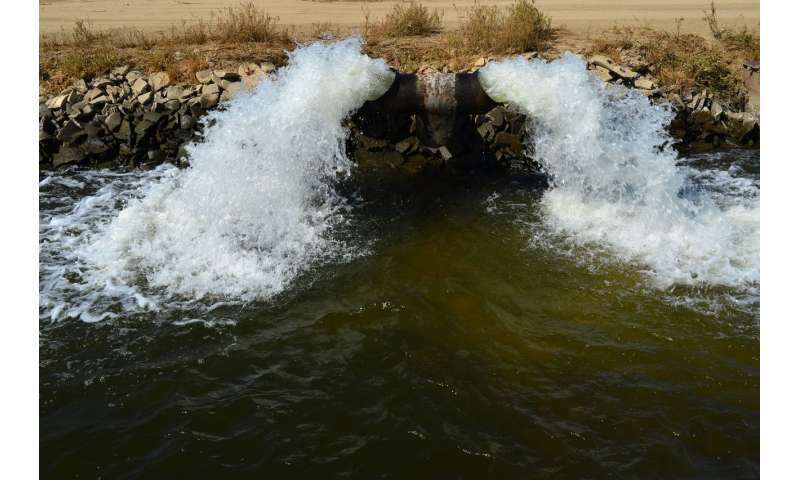 The researchers analyzed nearly 90,000 chromium values from California's Groundwater Ambient Monitoring and Assessment Program (GAMA) database. About half of these measurements monitor California's public drinking water supply. Of those, 15 percent contained higher levels of hexavalent chromium than the 2014 drinking water standard of 10 parts per billion. The scientists determined which of the 234 other chemicals in the database were commonly found with hexavalent chromium and used that information to figure out where natural occurring chromium is threatening groundwater quality and which processes may be responsible. 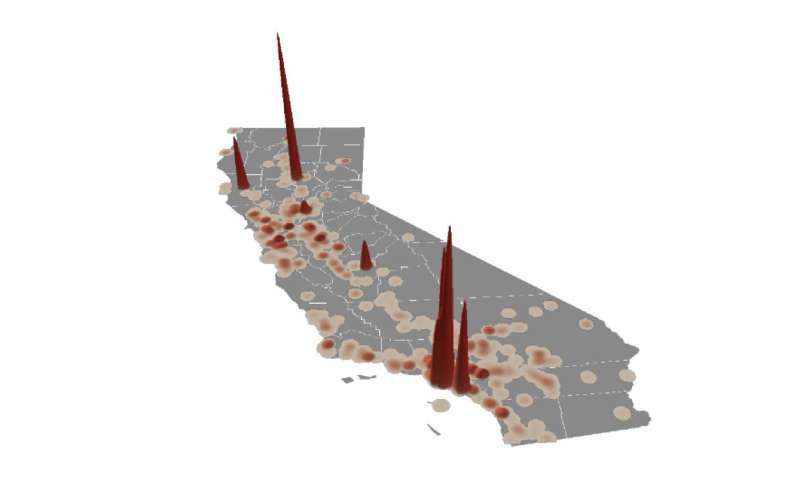 The results reveal widespread transformation of trivalent chromium in California's coast and Central Valley, and high concentrations of hexavalent chromium in the state's industrial hotspots, around Los Angeles and the San Francisco Bay Area. "We have really been focused on industrial contamination, but this paper provides a visual representation of all of the different processes that are responsible for chromium-6 contamination, and it highlights how regional these controls can be," said lead author Debra Hausladen, a postdoctoral researcher at the University of Lausanne who conducted research for the study as a Ph.D. student in Earth system science at Stanford. "It's really important to have this holistic view as we develop groundwater management strategies." The researchers hope to create more detailed distribution maps of where naturally occurring contaminants can threaten groundwater and the pathways that would cause them to move into California's water system. "People are realizing we have to worry about more than just traditional industrial contaminants – we have to realize that nearly every aquifer has natural contaminants," Fendorf said. "The question is simply, 'Is the contaminant going to stay benign in the solid form, or is it going to get transferred into the water phase?' We need to ensure the contaminants stay within the solids and do not jeopardize our water supplies."